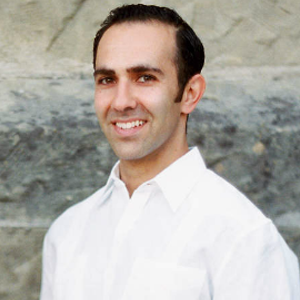 Peter Khooshabeh, Ph.D. (UCSB, 2009) is a scientist and technologist who brings to bear his multi- and interdisciplinary expertise to solve social problems. As the director of the United States Army Research Lab Cognitive Sciences Branch, West Coast office, Peter coordinates collaborative projects across two university affiliated research centers at the University of Southern California (USC-ICT) and UC Santa Barbara (ICB). Peter’s research uses several methods, including interactive virtual environment technology, eye tracking, and psycho-physiological recording, to study human-computer interaction and thinking in several different domains and with different user populations; much of his research investigates individual differences, in dimensions ranging from spatial ability to culture. He received his Bachelor’s degree from UC Berkeley in Cognitive Science, with emphases in both computational modeling and cognitive psychology. Peter became interested in social entrepreneurship while working with Social Finance since 2011. He continues to work in the area by focusing on social impact projects that aim to scale alternative modes of transportation in urban populations and also eradicate homelessness.